Everywhere you look, the views are amazing. In anticipation of this weekend's New York City Wine and Food Festial, we checked in with globetrotting chef Scott Conant, who will be making several appearances at the Festival. Just back from Turkey, Scott's also a regular in Las Vegas, home of Scarpetta restaurant at the Cosmopolitan — the glam casino which set up a cool pop-up suite at the NYCWFF. Was it your first time? No, I travel to Turkey annually. How long were you there? Two weeks. Why did you go? To visit my wife's family. Who were you with? My wife and daughter. How did you research the trip? All we really needed was a hotel, so we found it online. 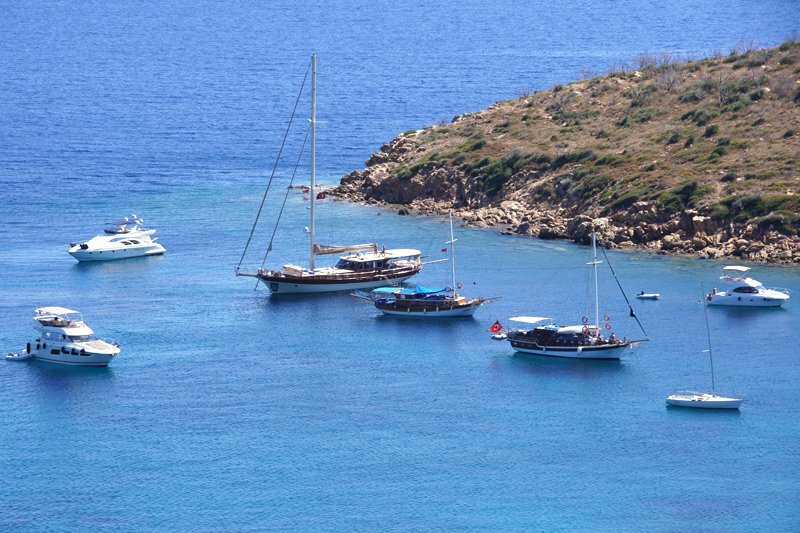 Kempinski Hotel Barbaros Bay in Bodrum. The resort was unbelievable. What did you do? Relaxed! This was especially great: The food, the water, and the hotel. But this wasn't: No drawbacks about Turkey but getting there wasn't especially great. Three planes, two layovers, and a long car ride. Favorite meals: There's a restaurant, Olives, that is just over the top. All the local fish were spectacular, especially the sea bass. Best thing you did: I jet-skied for the very first time! Also loved walking through the streets of Bodrum. How did you get around? We rented a car. One thing/place you didn't get to visit, but wanted to: The one thing that I missed out on was renting a boat for the day to explore the Turkish/Greek Islands. I brought back blueprints of the house we are building there. If you go back, what would you do differently? Get the boat! Any surprises? A surprising thing was how well the U.S. dollar is doing in Turkey now. It's a great time to travel and get out there. Kodak moment? The views are spectacular, no matter where you are or go. Scott is chef/owner of Scarpetta & D.O.C.G. Restaurants. He travels for the experiences.